After the interregnum for the appointments of the selections, return the main championships. The Premier League are on a double journey and Manchester United have a great challenge in this 33rd round. He moves to Molineux Stadium to face the team that eliminated him in the FA Cup. It is no news to anyone the quality that the team of Nuno Espírito Santo has evidenced, and the 7th place mirrors well all the competitiveness of this team. The Wolves have already stamped their feet on all top teams of English football, now taking them to the Premier League, now through elimination at the FA Cup. For all that, this is a journey that promises to be challenging for Manchester United continues to fight for a place in the G-4. After the draw at Old Trafford (1-1), and defeat (2-1), will be the third that Manchester United beat Wolverhampton? 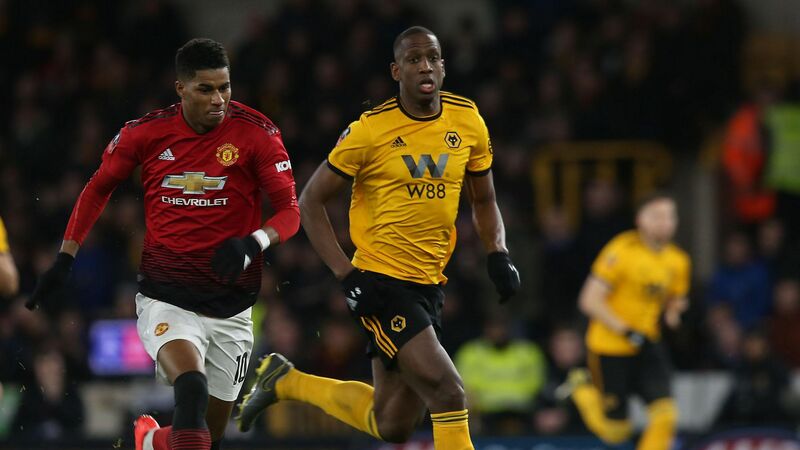 ‎⚽ Wolverhampton have played two games for Manchester United, and with good results. He drew at Old Trafford on the first lap (1-1) and won two days ago (2-1), in the game to count for the FA Cup. ‎⚽ The Wolves have already drawn 1-1 with Manchester City (1-1), beaten Tottenham (1-3), Chelsea (2-1), drawn 1-1 with Arsenal and beat Liverpool (2-1) . The results speak for themselves and show all the competitive ability of this team. ‎⚽ Manchester United are still looking to gain a place in the G-4 in order to minimize their poor season under Jose Mourinho’s technical command. Although the results with Solskjaer are quite positive, the red devils have lost two consecutive games, first at home to Arsenal (2-0) and then (2-1) with Wolves. This Manchester United is far more effective in offensive terms, since Solskjaer joined the command. And that will be an important part of this game, because on the other side is a team that also has a goal and a great competitive capacity. Thus, a game is expected to be very likely for both teams to score, and again with Wolverhampton with a great ability to play, once again, eyeballs with the top teams. As a right bet: over 2 goals.